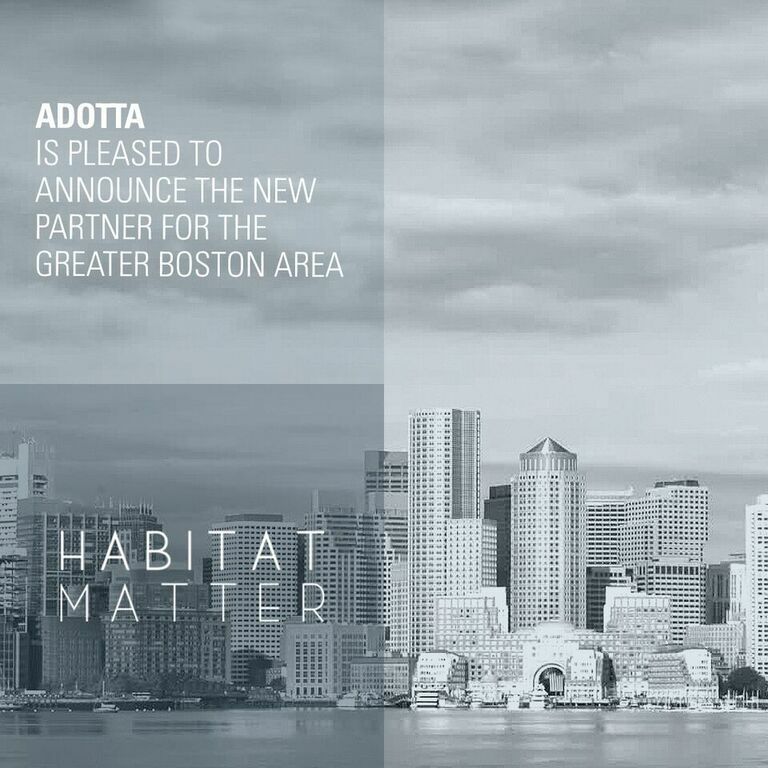 We are happy to announce the launch of Habitat Matter, the newest partner company in the Adotta family! 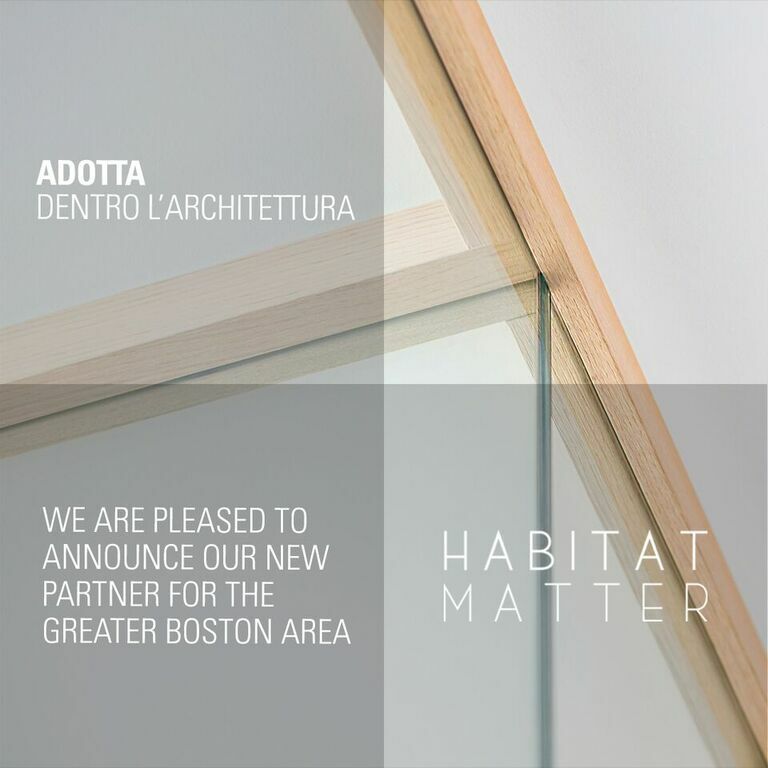 Habitat Matter is now the exclusive distributor of Adotta glass wall systems for the Boston and Massachusetts area. Our Italian glass product lines have been featured in the Nike East Coast headquarters; Coach headquarters in Hudson Yards, NYC; IBM in Cambridge; Latham & Watkins in Washington DC; and IIDA headquarters in Chicago. The team consists of Joe Mascaro, Rebeca Alba, and Andrea Wainer, who have worked extensively with Adotta glass office partitions, completing over 150 workplace projects. They are experts in acoustics management and custom projects. Please reach Joe Mascaro to discuss your next office or university project or to schedule an info session (with Italian treats!). The Helms Design Center opens its doors to Adotta, who with Bolon and Snowsound, await your presence at their newest showroom in Culver City, Los Angeles. Known as a point of reference for architects and designers, the Helms Design Center hosts well-known brands such as Vitra and Louis Poulsen in its uniquely irresistible space. Adotta is waiting for you on the American west coast. Adotta will participate at [email protected] Canada that will take place on April 11 and 12 in Toronto. This event open to designers and planners gathers together a number of materials and innovative technological solutions and is a not-to-be-missed opportunity for professionals in this field. All of the products showcased have been expertly designed and are of the highest quality. They have been judged and selected by a panel of architects and designers. This is why [email protected] has become an important meeting place where one can find highly defined inventive and innovative technological solutions. This event reflects Adotta’s philosophy and you can find it displayed in the Enercare Centre, booth #15 where it’s ready to show the Canadian and international community the innovative products that represent the company’s values. You will also discover Wallen, the wooden wall wich won the prestigious Architizer A+ Award for the “Glazing Systems & Product” category thanks to his great creativity and cutting edge functional design. Adotta in the heart of Paris. During Workspace Expo 2018 Adotta, whose architectural walls have been expressing themselves for 20 years through important international projects, has been invited at Zanutta‘s showroom for 3 days in the heart of Paris. Atelier Zanutta, a place of meetings and exchanges and ambassador of design “made in Italy”, is the ideal space to welcome you and let you discover the virtues of our range of products. In any workplace, there can be a need to escape somewhere quiet for an important call or a moment of reflection, away from the distractions of colleagues and coffee breaks. For architects working on the design of these spaces, demountable partitions offer a practical and flexible solution that enables an interior to be easily divided into specific functional areas. 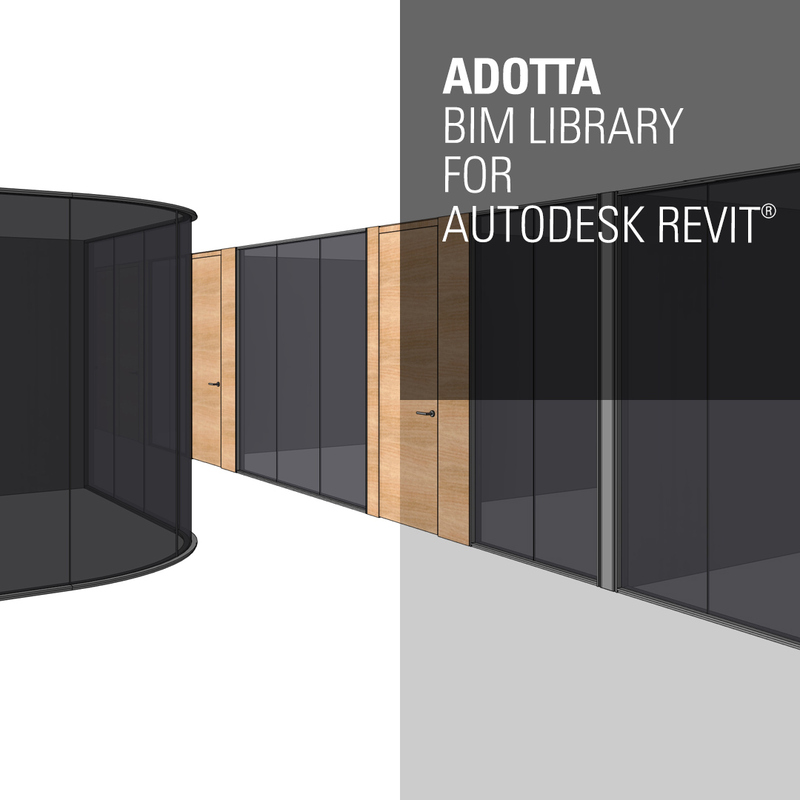 The Italian firm, Adotta, is a specialist in the design, production and supply of office walls and partitions, with experience helping all sorts of businesses introduce sound-proof rooms to the workplace. Adotta has arrived in Architonic and in Interior Design Magazine! Adotta has become part of Architonic the number one online community for architects, designers, distributors and all those interested in the world of architecture and interior design. With more than 16 million visitors yearly this platform, which has been translated into five languages, and which is dedicated to the world of architecture and interior design, has become one of the most powerful generators of ideas, readily available to whoever wishes to discover current trends or preview all those products (or solutions) available in the marketplace and have a deeper understanding of designers and producers. Architonic showcases Adotta products in a photographic gallery and a section where you will find all the requisite catalogs on site. Adotta has already witnessed the success of its inclusion on Architonic by the sheer number of requests from around the world. We are also proud to announce that Adotta is now live on Interior Design Magazine. Interior Design Magazine is the definitive resource for interior design professionals. In Interior Design magazine you can find the best resources for interiors designers and architects and the best features, like real-time design industry news, groundbreaking projects, innovative new products and exclusive in-depth research. Check productfind section and discover Adotta’s products! Adotta is waiting for you at ICFF Miami! We are happy to announce our presence at the ICFF-International Contemporary Furniture Fair which will be held on October 3rd and 4th at the Greater Fort Lauderdale Broward County Convention Center. This event showcases well over 150 exhibitors, 6.000 architects, interior designers and luxury retailers from all over the world. 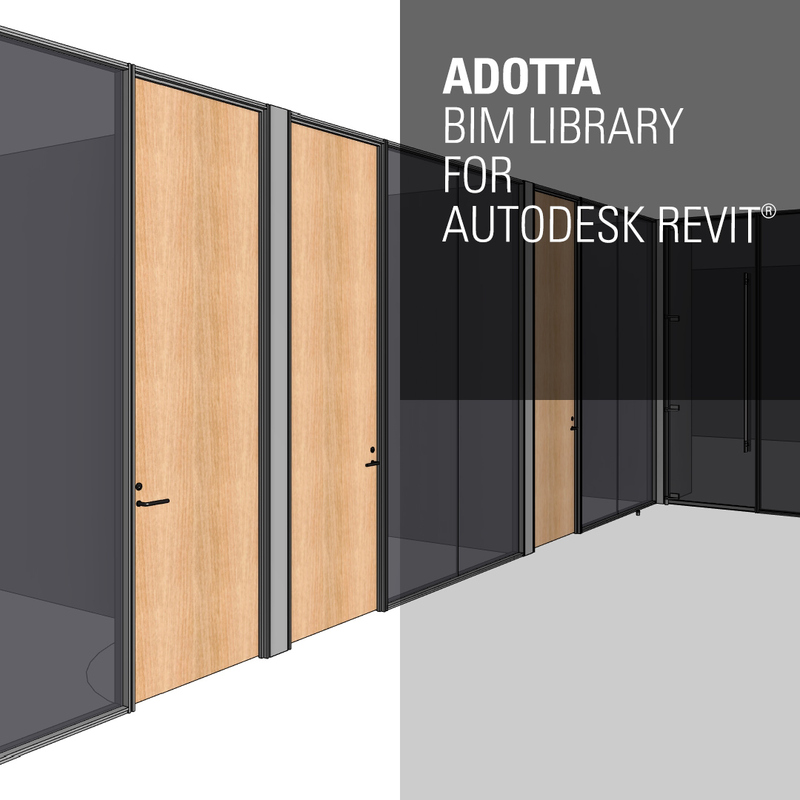 Adotta America will introduce its new designs and the products that best describe the company’s values: office wall systems which highlight interior arhictectual features with a cutting edge precision and sleek, minimal look. Schedule your appointment with us using CONNECT the online network and scheduling tool of ICFF Miami. 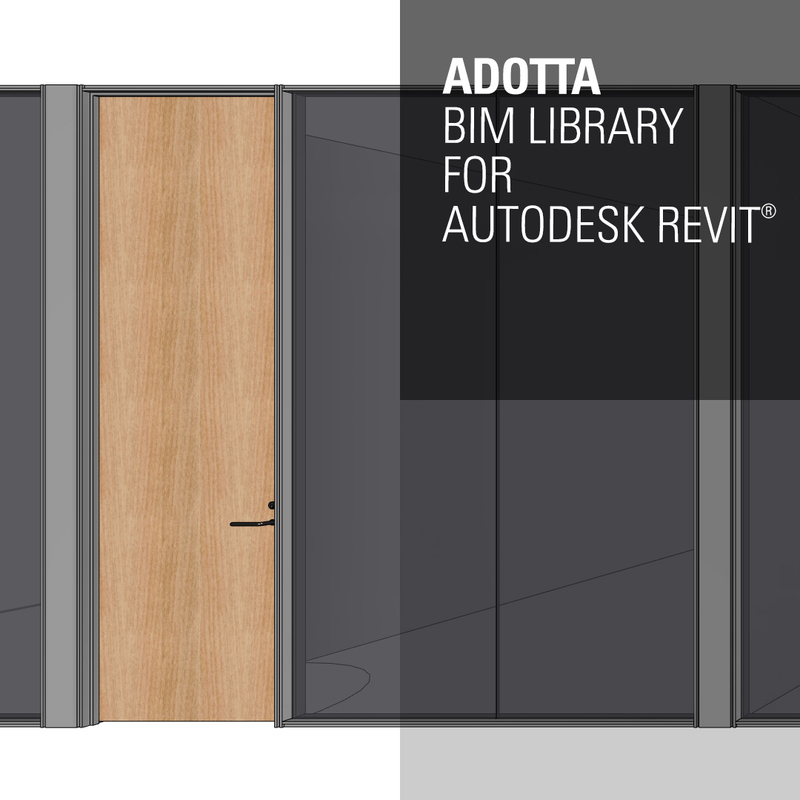 Adotta awaits your visit to our stand 227 first floor Hall A on October 3rd and 4th. 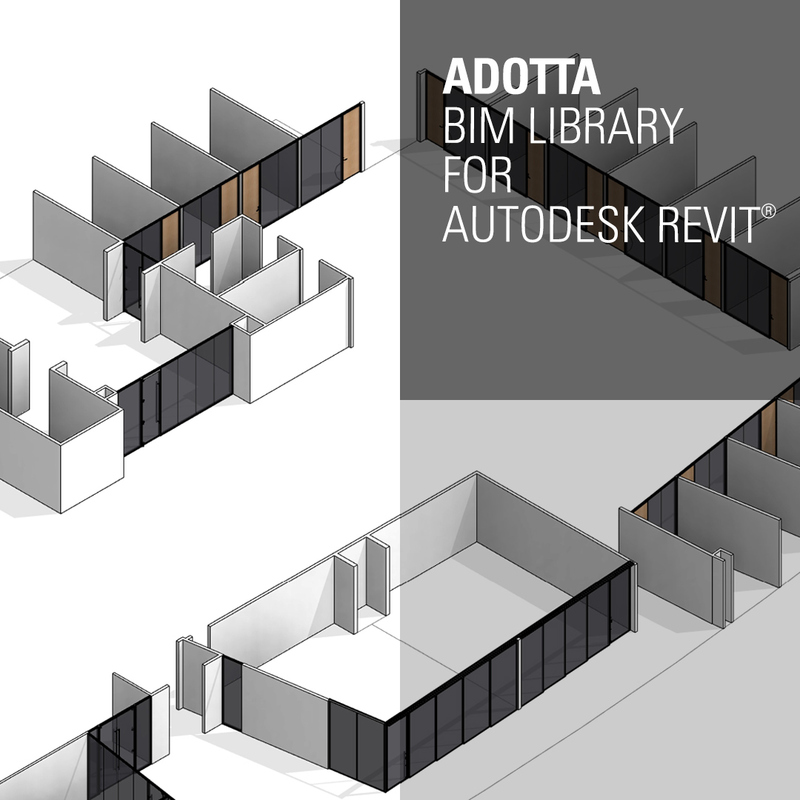 Adotta launches the BIM Libraries for Autodesk Revit: by taking advantage of BIM technology, this resource provides the sharing of information which will result in a precise and shorter planning phase. Adotta is unique not only for the quality of its products but also for its continuous research and development. 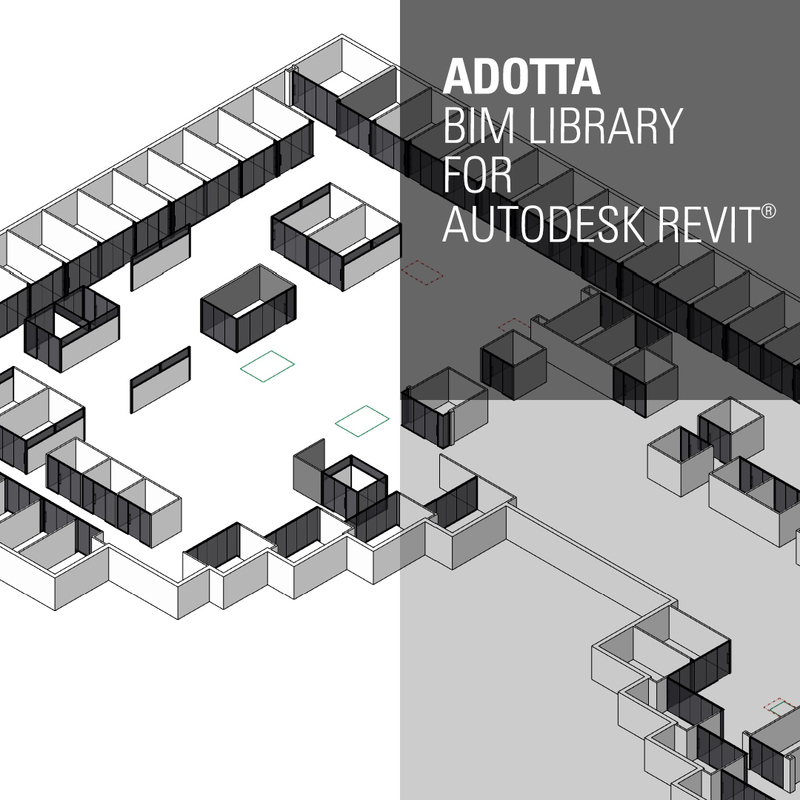 For this reason it has created a new BIM Revit Library of high-quality objects that it shares with architects, engineers and planners from around the world. 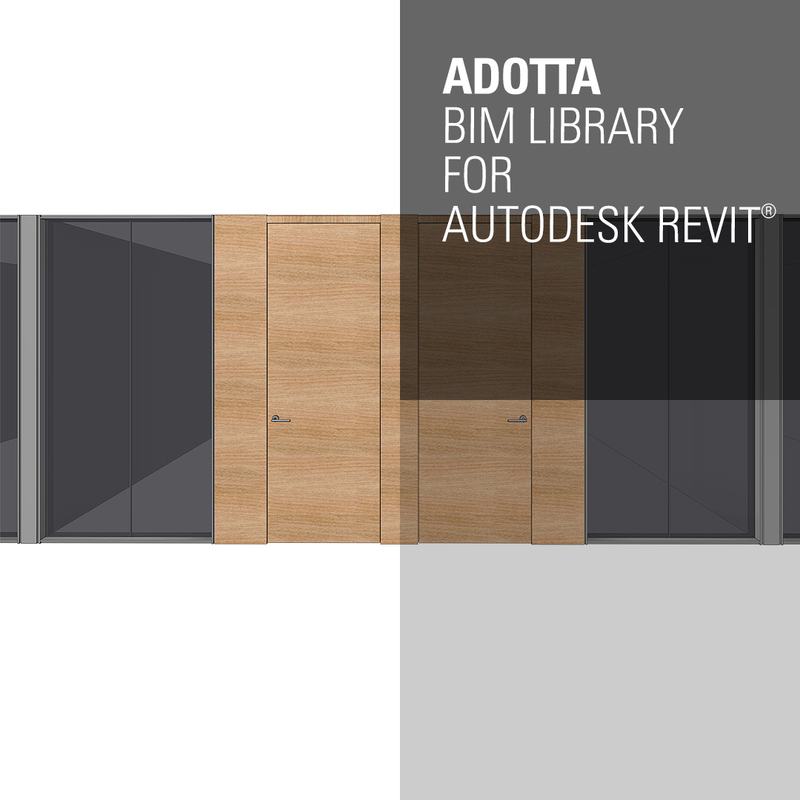 Architects and designers will have access to the wide selection of products through the parametric Revit libraries which have been shown to facilitate in the best way possible the planning phase to project completion. 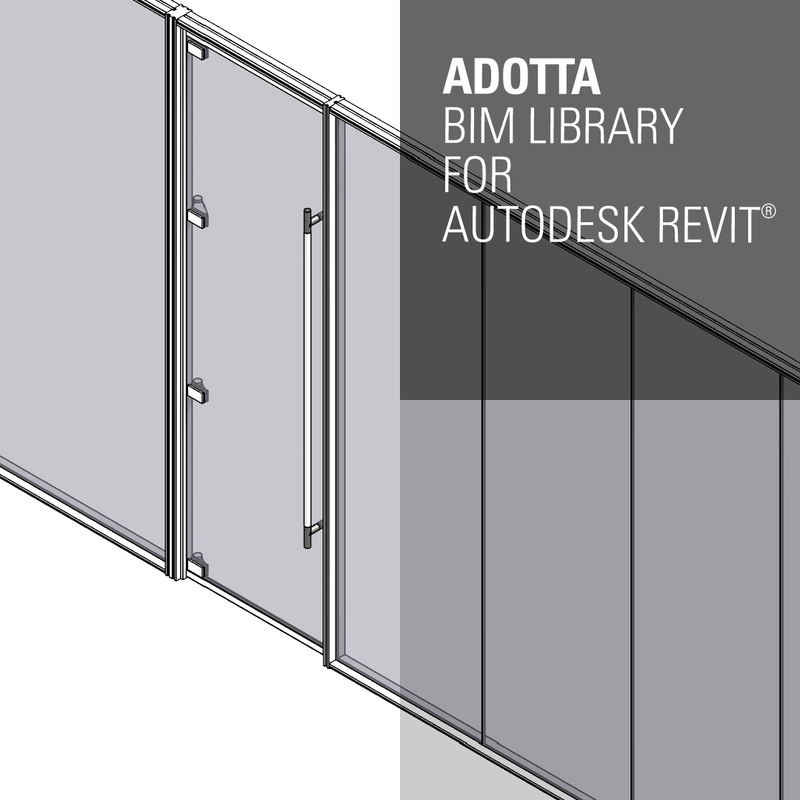 Adotta’s BIM products are precise and highly detailed, from the mechanical drawing to the possible uses of said products. This enhances the potential of BIM to be much more than just a design tool. BIM is more than simply an object in 3D presented in different formats. 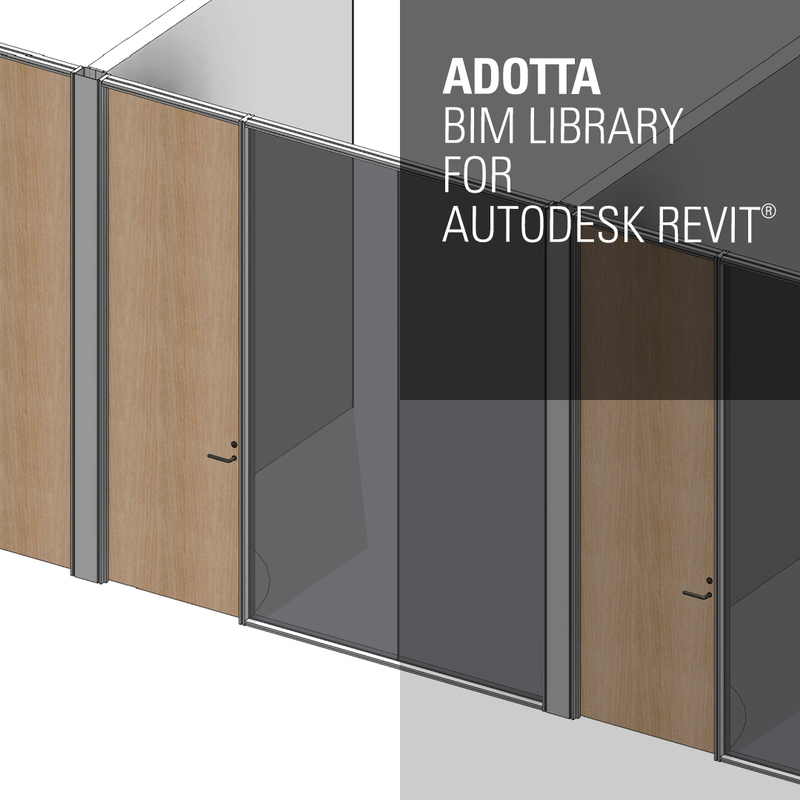 Adotta’s BIM tries to support collaborators and clients by providing trustworthy product updates for the planning and completion of the final product. Adotta will participate in the 10th edition of [email protected] Paris that will take place on September 21st and 22nd in this capital city. This event open to designers and planners gathers together a number of materials and innovative technological solutions and is a not-to-be-missed opportunity for professionals in this field. All of the products showcased have been expertly designed and are of the highest quality. They have been judged and selected by a panel of architects and designers. This is why [email protected] has become an important meeting place where one can find highly defined inventive and innovative technological solutions. This event reflects Adotta’s philosophy and you can find it displayed in the Paris Event Center booth 05 where it’s ready to show the French and international community the innovative products that represent the company’s values.